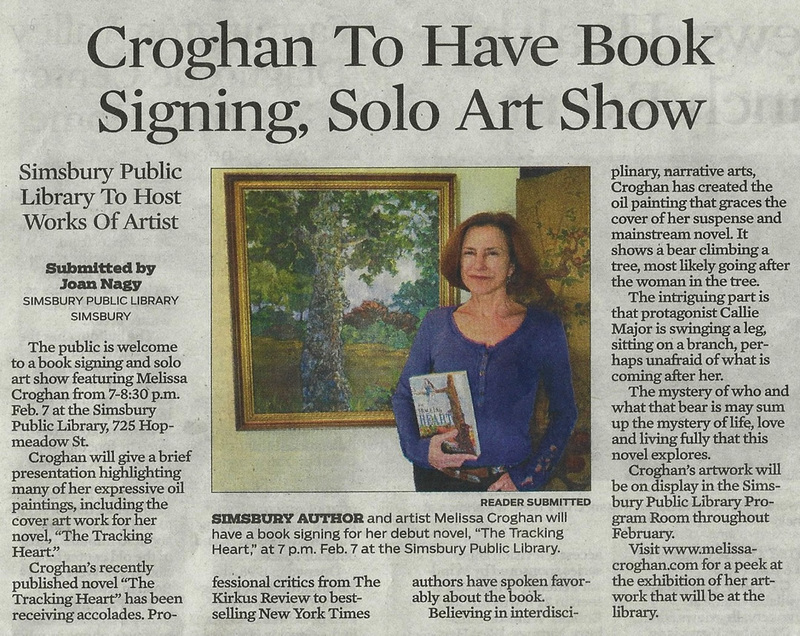 Melissa Croghan, POET OF THE MONTH for ‘The Poet’s Corner’ in THE HARTFORD COURANT. November -- December, 2016. 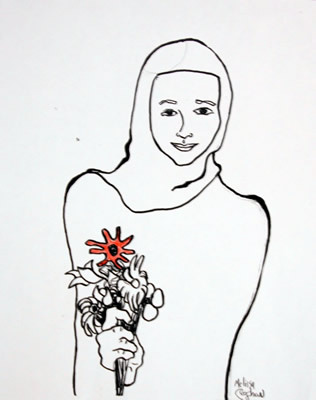 "No lofty goal of offering the refugee a way out of his tragedy, but perhaps with the passion of art, a way through." 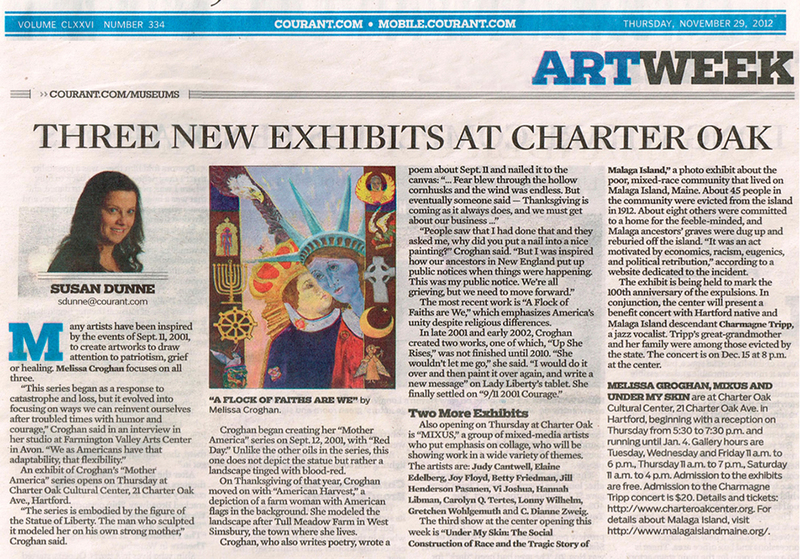 A Poetry Reading & Art Exhibit at Westminster School: Friday, January 15, Melissa is the first poet-artist to have a double act at Westminster, both art show and reading in 'The Gund Reading Room' and in 'The Baxter Art Gallery.' Over one hundred people showed up for the lively event. 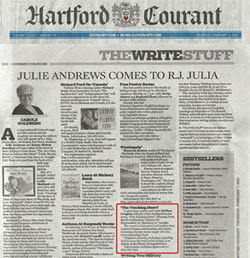 She is honored to be among other luminaries to read at Westminster, poets and writers such as Billy Collins, Linda Pastan, and Anthony Doerr. A stimulating day teaching a number of classes in Creative Writing to 95 Westminster students. 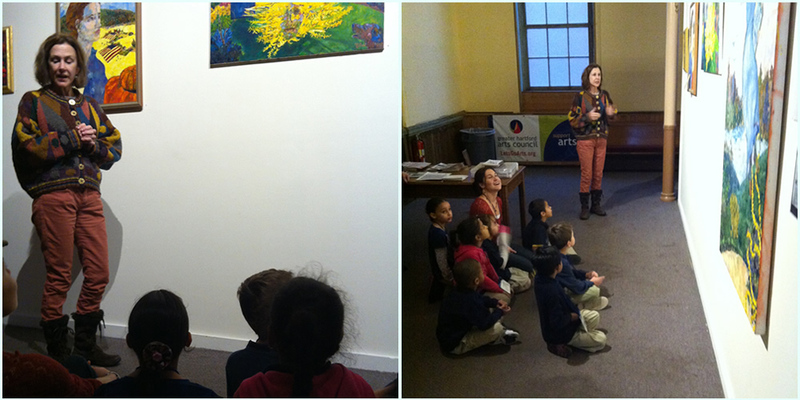 Melissa was able to guide the students in imaginative exercises, re-recreations of scenarios inspired by her paintings hanging in the Baxter Gallery on campus. 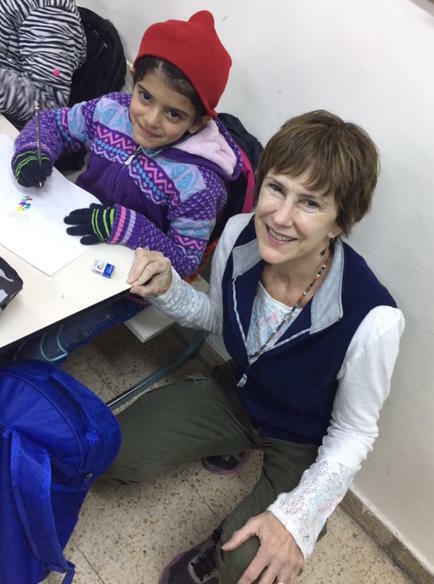 Melissa spent the month of May 2015 in Jordan leading art and poetry workshops for the refugees. 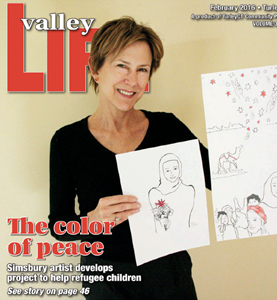 Coloring Book drawings for the Iraqi and Syrian refugees to bring a little light and art into their lives. 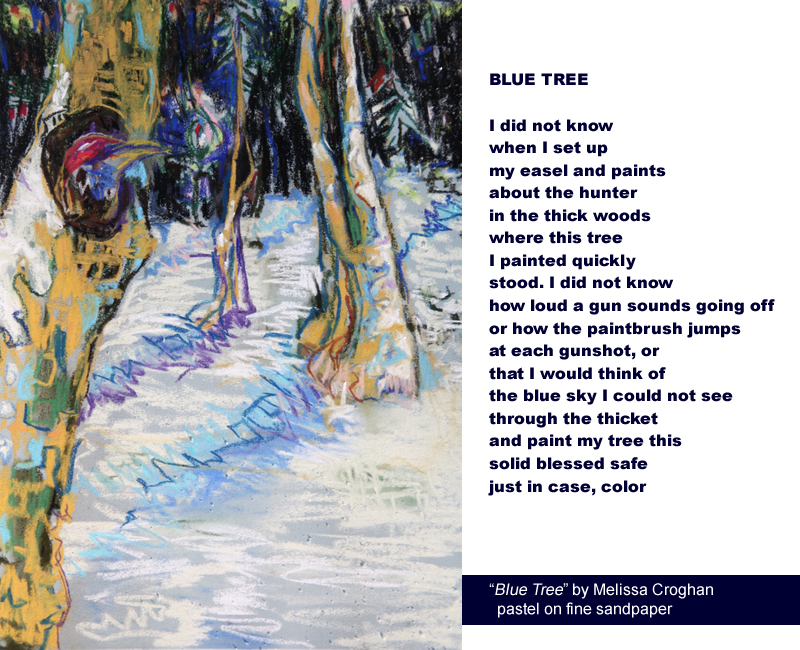 Born in Washington, D.C., Melissa Croghan is an award-winning poet and artist whose work has appeared in numerous journals and publications. 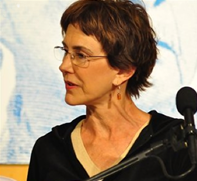 Her novel The Tracking Heart, published in 2012, has received critical plaudits from Kirkus Reviews and has had popular readership. A former editor at Boulevard, an English professor, and a Poet-in-the-Schools in Connecticut, Croghan holds Masters and Ph.D. degrees from The University of Pennsylvania. 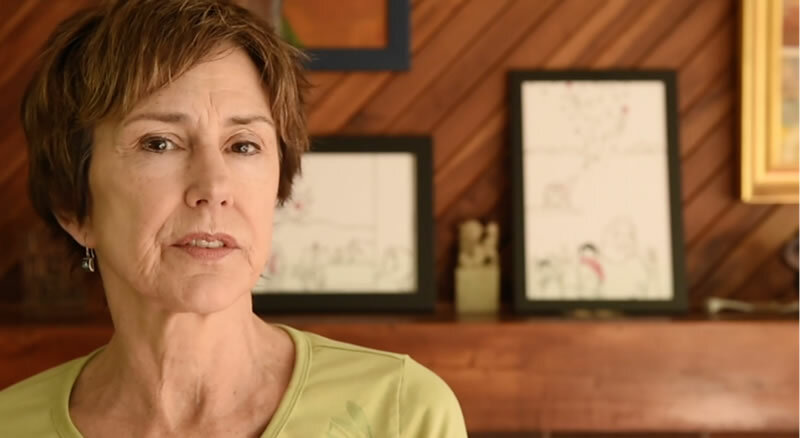 With her “Mother America Series” and her most recent excavations in poetry and art, Melissa Croghan is a poet who breaks new ground in the interdisciplinary boundaries between art and literature. Watch for the exact date and time for these other exciting venues to come. 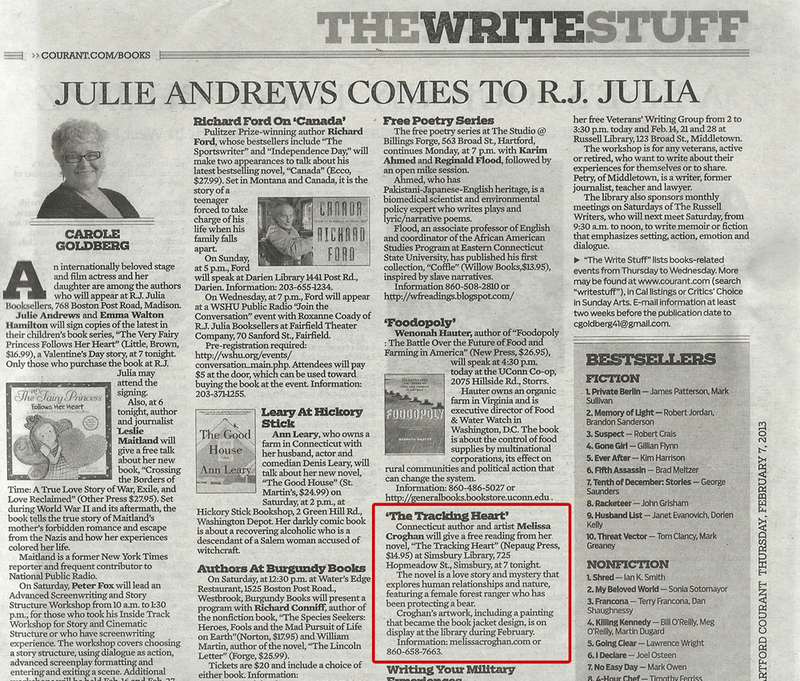 Melissa's novel The Tracking Heart has really taken off. Read about it here or on AMAZON, a professional book review and reader review. Find out about forest ranger Callie Major and the bear, not to mention her old best friend, Newton Denman who is on the run from an accusation of arson and the death of a beloved art teacher in Callie's and Newton's home town. This is a suspense, a love story, and a hymn to nature. 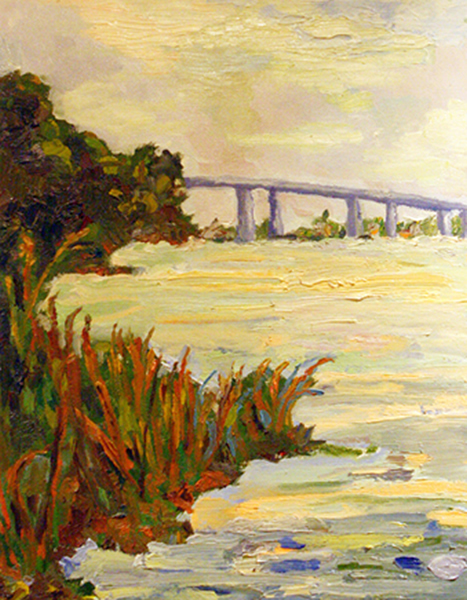 Melissa Croghan's studio is located at the Farmington Valley Arts Center, Studio 4A, artsfvac.org. Each month the Studio Artists open their doors on the first Saturday for a FREE visit. Tour the twenty studios, shop and collect pieces from painters, printers, photographers, sculptors, potters, jewelry artists and seat weavers. Come, visit and browse or Contact Melissa if you would like to schedule a visit. from The Mother America Series. September 25 - October 19 - Signs of the Four, an exhibit of work by 4 women painters, Hartford Fine Art & Framing Co.
August 14 - Melissa's oil painting, "Portrait of Daisy" becomes part of premier American art collector, Richard Manoogian's collection. 2011 - Melissa's The Real and the Marvelous Mother America Series has been attracting attention in the press, shows, and in her interactive exhibits. 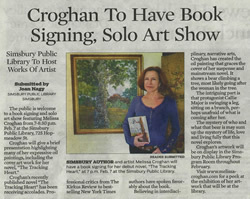 Croghan was a featured artist several times in The Hartford Courant, with a write-up and photo of her oil painting "Walking Wounded" in CT NOW, and an article on The Real & Marvelous Mother America art show reception at the Drezner Gallery in ITOWNS, along with an earlier publication online and in print, of "Childhood." 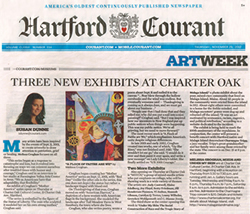 SIMSBURY PATCH Article "Exhibit of Paintings Inspired by 9/11 at Farmington Valley Arts Center"
AVON PATCH Aritcle "Words and Images, Real and Marvelous: The artwork of Melissa Croghan"
2011 - Croghan's oil painting "Bridge of Colors, Essex" has become part of The Connecticut Collection at The The Hartford UCONN Hospital, a permanent collection of art, including work by Sol le Wit and Alexander Calder. 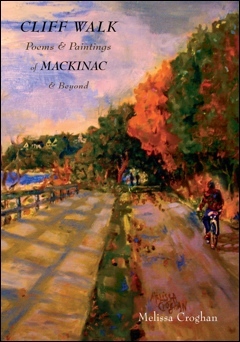 Croghan's painting and poem of the same title, BLUE TREE, was published in the fall/winter issue of the journal Verse Wisconsin.